There are many ways to measure the largest scams, but most measure them by the number of people affected and the total dollars scammed. Our list focuses on the scams that you could avoid, those reported to the CFR, FTC, Fraud.org and BBB (Better Business Bureau). For detailed explanations of each scam, how to report a scammer and how to protect yourself, click on the blue titles below for more information! To see federal and select state top 10 scam lists, click here. And to see a list of other type of top 10 scams, such as by category, or targeting specific groups, see this page. You purchase something online, but it is either never delivered or it is not what they claimed it was, or is defective. 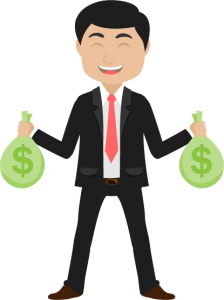 You receive an email claiming you won a prize, lottery or gift, and you only have to pay a “small fee” to claim it or cover “handling costs”. These include scams which can go under the name of genuine lotteries like the UK National Lottery and the El Gordo Spanish lottery. Unsolicited email or telephone calls tell people they are being entered or have already been entered into a prize draw. Later, they receive a call congratulating them on winning a substantial prize in a national lottery. But before they can claim their prize, they are told they must send money to pay for administration fees and taxes. The prize, of course, does not exist. No genuine lottery asks for money to pay fees or notifies it’s winners via email. wire money back to buyer. The check looks real… but after you try to cash it, you find out it is a fake; and you’re arrested for passing a counterfeit check! Read more about scam checks on this page and here about the EBay check scam. False promises of business or personal loans, even if credit is bad, for a fee upfront. Or a scam that promises to repair your credit for a fee. Fake profiles of scammers posing as attractive men and women, then claiming they need money to help in an emergency, typically when they claim to be out of the country on a business trip. 10. Facebook Fake Friend Scam – Did you ever get a Friend Request on Facebook from someone you already thought was your Friend? If you hit Accept, you may have just friended a scammer. Con artist nurtures an online relationship, builds trust, and convinces victim to send money. 11. Click Bait Scam – This one takes many forms, but many people may recall seeing those using Robin Williams death or the Malaysian Airline plane that went missing (click here for video). Other click bait schemes use celebrity images, fake news, and other sensational stories to get you to unknowingly download malware. 12. Fake bills and invoices – “Pro forma” invoicing: You get a bill that looks real, but either you never ordered the product or service, or they’re not really the company you bought it from. 13. Tech Support Scam: You get a call or a pop-up on your computer claiming to be from Microsoft (or Norton, or Apple) about a problem on your computer. They say if you give tech support access to your hard drive, they can fix it. Instead, they install malware on your computer and start stealing your personal information. 14. Medical Alert Scam – This is a telemarketing scam that promises a ‘free’ medical alert system, that scam targeted seniors and caretakers. The robocalls claimed to be offering the medical alert devices and system free of charge because a family member or friend had already paid for it. In many cases, seniors were asked to provide their bank account or credit information to ‘verify’ their identity and, as a result, were charged the monthly $35 service fee. The system, of course, never arrived and the seniors were left with a charge they had trouble getting refunded. Easy rule of thumb – be wary of ‘free’ offers that require your personal information upfront and always verify with the supposed friend or family member that the caller says paid for the service. 15. EBay / Auction Reseller Scam – Scammers posing as buyers persuade sellers into shipping goods prior to receiving payment. Usually the fake buyer claims it’s an ’emergency’ like a child’s birthday and asks the seller to ship the same day. The seller receives an email that appears as though it came from PayPal for the payment, but emails like that are easy for scammers to fake. 16. Arrest Warrant Scam – Scammers create a fake Caller ID, which allows them to call you and appear to be calling from a local police, sheriff or other law enforcement agency. They say there is a warrant out for your arrest, but that you can pay a fine in order to avoid criminal charges. Of course, these scammers don’t take credit cards; only a Western Union MoneyGram, other wire transfer or pre-paid debit card will do. 18. Casting Call Scam – Scammers pose as agents or talent scouts looking for actors, singers, models, reality show contestants, etc., and use phony audition notices to fool aspiring performers into paying to try out for parts that don’t exist. 19. 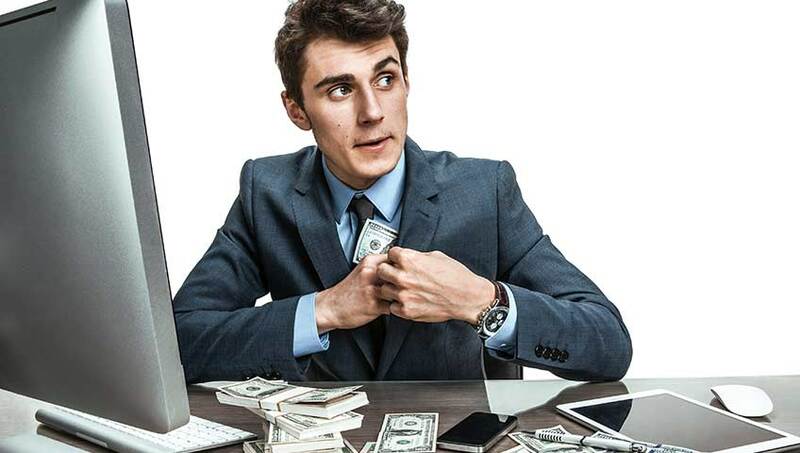 Foreign Currency Scam – Investments in foreign currency can sound like a great idea, and scammers frequently use real current events and news stories to make their pitches even more appealing. They advertise an easy investment with high return and low risk when you purchase Iraqi Dinar, Vietnamese Dong or, most recently, the Egyptian Pound. 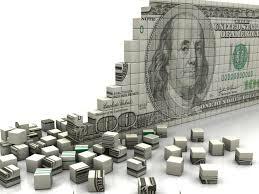 The plan is that, when those governments revalue their currencies, increasing their worth against the dollar, you just sell and cash in. Unlike previous hoaxes, you may even take possession of real currency. The problem is that they will be very difficult to sell, and it’s extremely unlikely they will ever significantly increase in value. 21. Do Not Call Scams – The National Do Not Call Registry (U.S.) or the National Do Not Call List (Canada) offer consumers a free way to reduce telemarketing calls. Scammers call anyway, of course, and they’ve even found a way to scam consumers by pretending to be a government official calling to sign you up or confirming your previous participation on the Dot Not call list! 22. Affordable Care Act Scams (Obamacare) – Scammers love the Affordable Care Act (‘Obamacare’), using it as a way to fool Americans into sharing their personal information. I wanted to share a brief history of the Advocacy Network. For those of you who don’t know me I have spent over 35 years in the sales profession. During that experience I have worked in the Financial Services industry, Luxury Resort RE industry and the Sales Training industry. 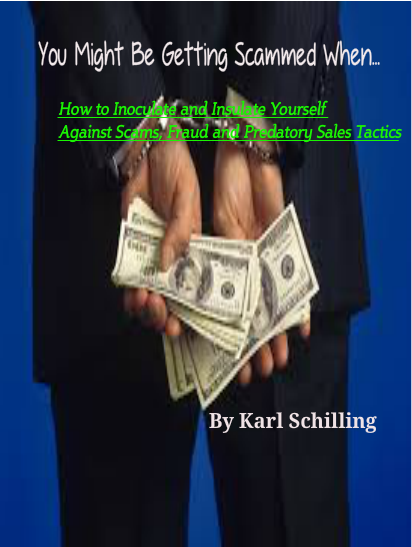 Throughout my experience I have learned how predatory sales tactics are used and also how scams and frauds are designed and perpetrated. For the most part many of the same techniques and psychological manipulations are used. Because of this I felt a fervent commit to expose these techniques and provide protection for consumers, investors and businesses who were unwittingly at risk to the cons, scams and frauds that were in the marketplace. In order to that I needed to create a platform that would educate, update and make the public aware of what was happening. For almost 4 years I provided FREE memberships which accumulated approx. 12,000 members. We were able to save those members in excess of $5M, and to date we continue to provide these protections to those who appreciate the value of our work. Now, I have created the service to go full blown as a paid membership service so that we can dominate the market place and service the middle class and mass affluent markets. Please understand that almost 1/2T dollars is lost every year to scams ,fraud and predatory sales tactics. If this market was an industry it would be in the top 10 of industry sales. That’s how much money is lost every year to financial victimization and everyone who reads this has been victimized at least once in their lifetime, sadly we know the stats show that average victims are 3x repeat offenders. This is all due to being unaware of the psychological triggers that continue to expose you to the risk of financial victimization everyday. I look forward to working with you and your family to ensure your financial future. Let us help you make smart decisions about money. State officials are issuing a warning about a W-2 phishing scheme that is targeting employees and even chief financial officers in an attempt to obtain sensitive personal information that can be used to commit tax fraud. Attorney General George Jepsen, Department of Revenue Services Commissioner Kevin B. Sullivan and Department of Consumer Protection Commissioner Jonathan A. Harris are warning consumers because hackers and cybercriminals are using a system that mimics employer’s email, often appearing as a request directly from the Chief Executive Officer, asking for the employee’s W-2s. W-2 forms have sensitive personal information, including Social Security numbers, full names and addresses, which can be sold or used for identity theft and financial fraud. W-2s give an identity thief almost everything they would need to commit tax fraud. Scammers targeting taxpayers by pretending to be the Internal Revenue Service are nothing new, and taxpayers should always stay vigilant, officials said. The W-2-themed phishing schemes directed at businesses are becoming more prevalent and organizations have been warning their employees to be wary of them, especially when filing their taxes, state officials said. Between October 2013 and August 2015 scams referred to “business email compromise,” exposed nearly $750 million in 2015 to scammers, according to the FBI. Commissioner Sullivan said criminals this year are posing as the IRS and DRS are even more aggressively out to steal taxpayer record information and taxpayer identities. If your business was targeted or has fallen victim to this scam, file a complaint with the Internet Crime Complaint Center. If you are worried that a call or email from the IRS is real because you know you owe taxes, call the IRS directly at 800-829-1040 or go to www.irs.gov. Fraudulent emails purporting to be from the IRS should be forwarded to phishing@irs.gov. If you become a target of this scam, file a consumer complaint with the Federal Trade Commission at www.ftc.gov, and add “IRS Telephone Scam” to the comments of your complaint. The Internal Revenue Service issued an alert Tuesday to payroll and human resources professionals to beware of an emerging phishing email scheme that purports to come from company executives and requests personal information on employees. The IRS said it has learned this scheme—part of the surge in phishing emails seen this year—already has claimed several victims as payroll and human resources offices mistakenly email payroll data, including Forms W-2 that contain Social Security numbers and other personally identifiable information, to cybercriminals posing as company executives. • Can you send me the updated list of employees with full details (Name, Social Security Number, Date of Birth, Home Address, Salary) as at 2/2/2016. • I want you to send me the list of W-2 copy of employees wage and tax statement for 2015, I need them in PDF file type, you can send it as an attachment. Kindly prepare the lists and email them to me asap. The IRS noted that it recently renewed a wider consumer alert for e-mail schemes after seeing an approximate 400 percent surge in phishing and malware incidents so far this tax season and other reports of scams targeting others in a wider tax community. The IRS, state tax agencies and tax industry have joined together in a public awareness campaign – Taxes. Security. Together. – to encourage taxpayers and tax professionals to do more to protect personal, financial and tax data. See IRS.gov/taxessecuritytogether or Publication 4524 for additional steps.